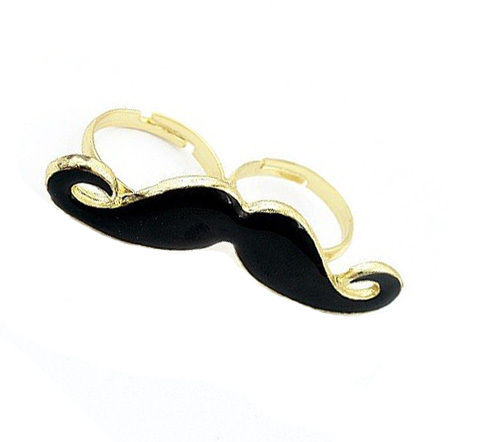 Vintage Moustache Rings are very fashionable, double fingered rings that are created in the shape of a moustache. The gold coloured ring complements the bold black design of the actual moustache and the easy to recognise shape will surely make all of your friends smile. Colours may vary. Images are for illustrative purposes only.